Kerra Denel migrated to Toronto from Trinidad and Tobago at the age of 12. Today, she continues to fly the Caribbean flag high through her event "Caribbean Women's Power Lunch" (not related). Kerra has integrated her business management expertise with her passion for Caribbean culture to drive marketing, media and promotional campaign strategies reaching millions of people. She has developed a strong reputation for professional quality event production, artiste management, public relations, marketing and consulting in geographically dispersed locations. 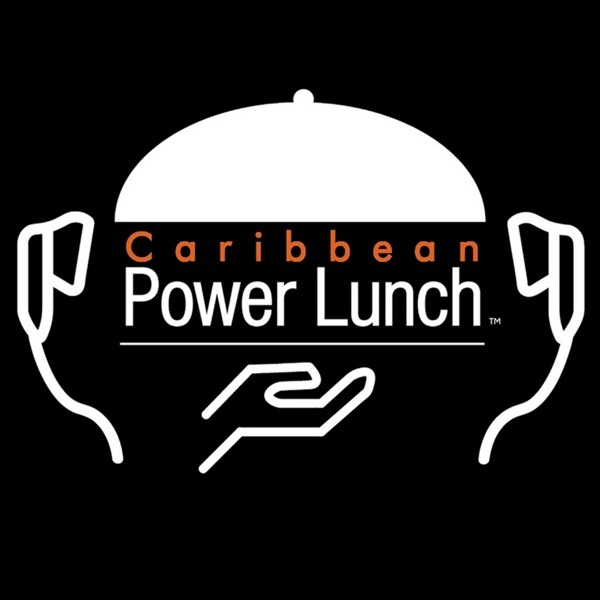 - Why "Caribbean Women's Power Lunch"? Georgina Terry, FCCA PMP – The Passions to Profitability Expert – is a business and career coach with a difference – a qualified accountant, mentor, change management consultant, local /international inspirational speaker, International Labour Organizational (ILO) certified trainer, Project Management Professional and author of the bestselling book ‘The Amazing Race to Entrepreneurial Freedom’. Before moving to Trinidad in 2001, she worked for The Economist and PricewaterhouseCoopers. Georgina is also on the following boards:Youth Business Trinidad and Tobago,British Caribbean Chamber of Commerce, andShift! Caribbean. Georgina, who is originally from London, England, is MD of Business & People Development Associates Limited (BPD). BPD provides career and business coaching, cost management and business transformation services to aspiring entrepreneurs and established businesses. In this episode, we discuss: - Georgina's personal journey from Passion to Profitability;- The Amazing Race to Entrepreneurial Freedom;- Sales & Marketing vs. Product Perfecting; and- Remaining Relevant in the rise of Technology. Keron Bascombe is an Agricultural Journalist and Enthusiast who founded the company Tech4Agri to act as a platform awakening the public to the multitude of technological applications that exist in agriculture, as well as highlighting the work of young "Agripreneurs". Tech4agri has won numerous awards over the years and has provided Keron the opportunity to travel to over 30 countries across all continents to continue his work; focusing on technology, innovation, and climate change.In this episode, we discuss:Food security and sustainability, The current lack of scale and investment in Agriculture, and what can and must be done to rectify this. Kerra Denel migrated to Toronto from Trinidad and Tobago at the age of 12. Today, she continues to fly the Caribbean flag high through her event "Caribbean Women's Power Lunch" (not related).Kerra has integrated her business management expertise with her passion for Caribbean culture to drive marketing, media and promotional campaign strategies reaching millions of people. She has developed a strong reputation for professional quality event production, artiste management, public relations, marketing and consulting in geographically dispersed locations.In this bonus episode, we discuss:- Identity struggles of a Caribbean person living abroad;- The most authentic way to build a vast network; and- Why "Caribbean Women's Power Lunch"? Trena De Landro's mission in life is to live better through technology. She is a digital media strategist, innovator, and the founder of Lazy Mas. Lazy Mas is a digital platform which brings Carnival service providers and masqueraders together making vacation bookings easier, by providing safe and secure transactions with vetted Carnival vendors.Lazy Mas is an IATA Accredited Travel Agency that helps customers create and customize the Carnival experience they desire.Trena is also the CEO of Nerdy Accent, a digital media firm that develops and executes effective and measureable, social/mobile/online marketing strategies. Her expertise is in driving profitable consumer engagement and behavior through integrated marketing campaigns.In this episode, We discuss:- Affiliate marketing;- How digital platforms can make Carnival tourism more efficient; and- Tips on targeting millennials. Kheston Walkins is a Neuro-Innovator and co-founder of the company Allegori that teaches students how to focus and improve academic outcomes through its Focus Clinic. Kheston has a background in neurophysiology, cancer informatics, and experimental neuroscience. He studied Medical Neuroscience out of the University of Sussex in Brighton England and is a Ph.D. candidate in Molecular Genetics at the University of the West Indies, Trinidad and Tobago. He also has over 7 years' experience in marketing and interactive advertising. He is passionate about Caribbean innovation in technology. In this episode, we discuss: - The Impetus for Neuro-Innovation in the Caribbean;- The Story Behind CommuniCare; helping stroke patients communicate with doctors and visitors;- How Allegori came about; and- Other Exciting Neuro-Innovative projects that Kheston and his team are working on. Charles Bobb-Semple is the man behind FUSION ADVENTURE RACE.FUSION ADVENTURE RACE is an annual physical and intellectually challenging sporting event that demands courage, commitment, fortitude, stamina, and teamwork.The event, which recognizes three categories, namely Male, Female and Mixed, takes competitors through mountain trails and other terrains, offering the opportunity for persons to discover the veiled treasures of the island from a unique perspective.Fusion has earned its place as the premier adventure race in Trinidad & Tobago and takes competitors through mountain trails, offering the opportunity for athletes to discover the veiled treasures of the island from a unique perspective. Additionally, it offers intrigue as participants are only informed of what is required of them at each successive stage; emphasis is placed on teamwork, rather than individual achievement.In this episode, we discuss: - The Genesis behind the creation of Fusion;- The Severe level of logistics and planning that goes into this event; and- Why crossing the finish line will help you learn more about yourself. Kaylan Bartholomew helps busy people make healthier choices for themselves and their families creating a balanced and joyful life. She is an Integrative Nutrition Health Coach and a Hatha Yoga Instructor who uses a holistic approach, recognizing that real food and exercise are only a part of what brings us balance and helps her clients explore all areas of their lives – love, relationships, career, money, spirituality and the environment. She incorporates her training as a yoga instructor to bring mindfulness, breathing techniques, energy awareness, meditation and yoga postures to help relieve stress, a significant contributor to our health. Her clients have been able to boost their energy, lose weight, diminish cravings, improve chronic health conditions, reduce stress, get the kids to eat healthier and overall improve the family connection. Kaylan graduated from the Institute for Integrative Nutrition, the largest nutrition school in the world, where she learned practical lifestyle management techniques and over 100 dietary theories. Kaylan received her hatha yoga certification through Bliss Yoga Trinidad’s 200-hour Teacher Training Program. Kaylan is also a licensed instructor for the Springboard Women’s Development Programme, a revolutionary personal development program for women. In this episode, we discuss: - 21-Day Detox: Revive, Renew, Restore;- Why True Health Involves the Body, Mind, and Soul; and- Being Clear on Your Health Goals. The man behind TEDxPortOfSpain.Keita Demming helps companies identify and implement plausible innovation opportunities. In his line of work, he transforms companies into places and spaces that are idea-driven and people-centered. These companies foster cultures that embrace design, accountability, foresight, strategy, and innovation. High performing organizations have highly engaged and effective employees. They are wonderful places to work, play, and belong.Keita is also a Partner and Head of Innovation and Development at The Covenant Group (TCG); Keita also founded the Disruptive Conversations podcast, where he unpacks how people who are working to disrupt a sector or system think.In this episode, we discuss:- Challenging the Status Quo;- The Road-map to Identifying and Catalyzing Plausible Innovation Opportunities; and- 2 Things Fundamental to Success in Innovation. An engineering professional, award-winning author, globally certified coach, trainer and speaker, Gregory Skeete helps people and organizations of all types and stages achieve peak performance through his company Life Engineer Inc. In this episode, we discuss: - 5 P’s to turbocharge your professional performance,- 3 Lessons from Entrepreneurship that can boost job performance,- A different approach to Leadership, and- Living your life by design. Be sure to share this episode with someone you think can find value in it. A former state prosecutor, Shelly-Ann Gajadhar is a career and professional development coach who specializes in helping people discover their purpose in life, and walking boldly into that purpose through her company Alphastute. In this episode, we discuss:- Shelly's key tips for finding purpose in our lives- Shelly's personal journey of finding her own purpose- Education vs. Academics Be sure to share this episode with someone you think can find value in it. Who is Toni Thorne? Entrepreneur who started her first business at age 7.Self-starter: “If I say I’m going to do something, I find a way I get it done.”“The hardest thing is to start.”Pursue what you are interested in and what will energize you: “You have to be very clear in what you want from life.”Motto: “Be true to yourself.” – you are your own biggest obstacle.Experience of Business Pursue Your Interests:Know Your Business Inside OutBelieve in YourselfAlign Your InterestsFinding a MentorUnderstand and Embrace FailureFavourite Failure Story.Black EntrepreneurshipThere is a mindset issue which is keeping Caribbean businesses, particularly Black businesses, from growing as they should: “People would rather own 0% of nothing than 5% of something.” – instead of collaborating and supporting one another, they would rather compete.The Black experience in Barbados, a predominantly Black country, is one in which Black people are treated as minorities and racism is an endemic issueUpper financial class does not reflect the racial composition of the country, which affects the level of entrepreneurship and business entryExperiences of being Black worldwide are unique experiencesA study on the business loan process conducted by Harvard University revealed Black entrepreneurs in the USA have to deal with much more stringent policies and procedures than White entrepreneurs with similar or lesser qualifying requirements. This experience of different rules for Black business owners and Black entrepreneurs is also true in Barbados and serves as an obstacle which Black entrepreneurs have to determine how to overcome.Black parents have until recently tended to be more conservative, encouraging children to follow a more secure, traditional path and may not have supported entrepreneurship as it seemed too riskyThis stems partly from a historical experience of oppression and disadvantage which has caused them to be more risk-averse.That mindset is slowly changing, which is necessary to spur on generational wealth and generational business growthWhite peers may have a different upbringing and exposure to family businesses and business mindset earlier onBlack entrepreneurs must recognize that although social structures may cause them to be at a disadvantage, they can and must then make their own paths to success, be creative in how they pursue structuring and financing their businesses and set their own goals for measuring success. Lisa Wickham is an award-winning media producer, director, and television personality. She has an MBA with distinction and is the:Founder of Imagine Media International Limited – a multi-media production, event management and public relations (PR) enterprise based in Trinidad and Tobago.Founder and Publisher of E-Zone the Mag! magazine, which is based on a show she co-presented.Founder of the Caribbean Film and Media Academy.Co-founder of the health and fitness system "Sokafit".Author of the book "On A positive note: Words of inspiration".Lisa has mentored hundreds of young people in:life skillspublic speakingcommunicationleadershipfilm and televisionentrepreneurshipmarketingstrategyinnovation, andgood citizenship. Carver Bacchus is the Managing Director of Sustain T&T, a social enterprise producing and exhibiting educational film content in the areas of environment and sustainability. He has over 15 years of professional experience in the areas of Management and Marketing, in both the public and private sectors. He leads Sustain T&T in providing branding, communications and visibility services to agencies with a public education mandate, informing audiences about issues affecting them, like climate change. Green Screen - The Environmental Film Series, is Sustain T&T’s marquee event, bringing environmentally themed films and discussions to communities in Trinidad and Tobago on an annual basis.